with a range of operators, programme director Mark Harvey talks to Dan Gilkes. While a growing number of van manufacturers are busy testing and launching full electric vans, Ford has decided to take a different path, trialling a plug-in hybrid PHEV version of its popular Transit Custom with operators in London over the next 12 months. The PHEV is expected to be one of the major talking points on the company’s stand at this month’s CV Show in Birmingham. 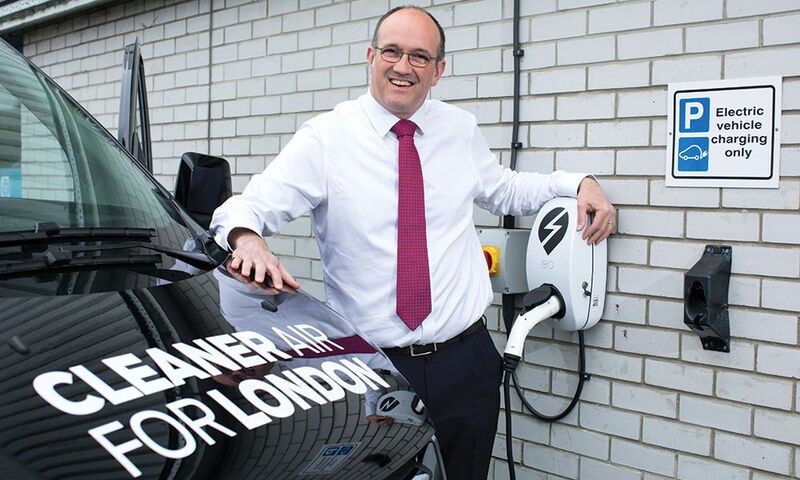 “At the point where we were kicking off the project, the message from our fleet partners was that they wanted an electrified product,” said Mark Harvey, Ford’s Urban Electric Vehicle Programme director. With that in mind, Ford decided to go down the plug-in hybrid route. The Transit Custom PHEV uses Ford’s award-winning 1.0-litre EcoBoost petrol engine as a range-extender, with no direct connection to the van’s driveline. The wheels are driven exclusively by an electric motor, with a compact, liquid-cooled lithium-ion battery pack providing the motive force. The van offers up to 31 miles of pure electric drive, but with the petrol engine working as a range extender, it is said to deliver up to 310 miles of potential range, removing anxiety for operators. In addition, the vehicle is equipped with fast charging technology, that will provide a full charge in just three hours. “Clearly it needs to be fully charged at the start of the day for the most efficient use. It really is ideal for city operations,” said Harvey. technology, that will provide a full charge in just three hours. While the Transit Custom PHEV is very much intended for urban use, Ford is not limiting its appeal to one type of operation. The trial vans are working with a diverse list of potential customers. They will cover different distances and with very different load profiles, providing Ford with plenty of data. Confirmed operators taking part in the trial include Transport for London, the Metropolitan Police, British Gas, Morrison and Clancy Plant. “We have a very wide range of users, from municipal, law enforcement, plant hire and home delivery,” said Harvey. Some vans are single driver, while others will be used by a number of drivers with the trial firm’s operation. That said, Ford has provided some element of driver training where necessary to allow customers to get the best from the vans. All of the trial Transits have been equipped with telematics systems to deliver a wealth of operating information to Ford’s engineers, allowing them to fine tune the van prior to its commercial launch in 2019. Development of the Custom PHEV has been supported by a £4.7m grant from the Government’s Advanced Propulsion Centre. The vans have been designed at Ford’s Dunton technical centre in Essex and at Prodrive Advanced Technology in Banbury. Were they to be commercially available today, the PHEV would also qualify for the Plug-In Van Grant. Though the Transit Custom PHEV is currently the first van of its kind, and still in the trial stage, Ford is conscious that the electric and hybrid van market is moving swiftly.